To get better search engine rankings or land on the first page results on Google in 2016, site speed and HTTPS were listed among the ranking factors. Shared IP address: this means there are numerous websites sharing the same address. The hosting server determines which website is requested by the URL entered. Dedicated IP address: this means a website has its own IP address. Typing in the URL of the website or its IP address would bring you to the same website. Mind you, there are controversies around dedicated IP addresses for SEO and questions around whether a dedicated IP address would actually boost rankings. The truth is, a dedicated IP address from your hosting company would not boost your SEO but increase website loading speed, which is a criterion for SEO (Google and Bing) in 2016. So a dedicated IP can result in an increase in site’s speed which equals good SEO for your website. Having your own private SSL certificate: Google made having an SSL Certificate a ranking factor for websites looking to rank for keywords in Google search engine results. Google crawlers have been designed to index a site with the SSL certificate and favor websites using HTTPS. Enhanced performance and security: for websites attracting huge web traffic, a dedicated IP address would be the best bet, as a shared hosting IP address would be used by thousands of other websites resulting in constant server crash and website downtime (my experience with Namecheap), making your website unreachable to visitors thereby losing SEO juice. Having a dedicated IP address for your hosting server would increase your website speed, provide enhanced performance and security (access to an SSL Certificate). An SSL Certificate is required for ecommerce businesses and other online businesses collecting personal information from customers. 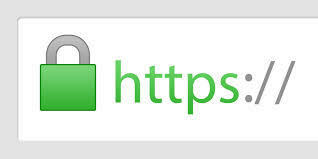 However to use an SSL certificate on your website you need a dedicated or static IP address. An SSL Certificate is a security token used to protect private information traveling across the web. It provides security for customers and builds trust on the business with the presence of the lock icon or green bar. The benefits of using an SSL Certificate is not limited to SEO, an SSL Certificate provides security for the website owner and trust from the website visitors or customer. Better Rankings In Google: On the 1st of April, 2011 Google announced they would be crawling, indexing and storing data on SSL certificates found on the web and on the 6th of August, 2014, security for web users was addressed by Google when they announced HTTPS as a ranking factor in search engine results. Security: An SSL certificate protects your domain name and email from phishing scams. As a business, you don’t want anyone cloning your website to gain personal information but with a proper SSL Certificate, it would be hard for anyone to clone your website. Encryption: Using an SSL certificate on your website encrypts sensitive information collected from your website visitors and customers intended for you only. The Internet consist of several computers and this can be breached but having an SSL Certificate encrypts information traveling across the web to the recipient. Trust: According to a survey conducted by GlobalSign, 77% of website visitors worry that their personal data could be intercepted or misused online. Using an SSL Certificate with its lock icon or green bar would increase trust on your business as 29% of customers look for the green bar before making a purchase or releasing sensitive information. Increased trust leads to increase in sales and conversion. An SSL Certificate provides security through HTTPS for your customers and website which is a ranking factor for Google search engine resulting in better rankings in search engine results. Implementing any of the above should provide positive changes to your search engine traffic.